These two young bulls were sparring to measure their strength. The younger of the two – on the left – did not want to give up and kept provoking the older – and much heavier – one. The Thanda guests enjoyed this prolonged spectacle on the open savannah all around the game drive vehicle. 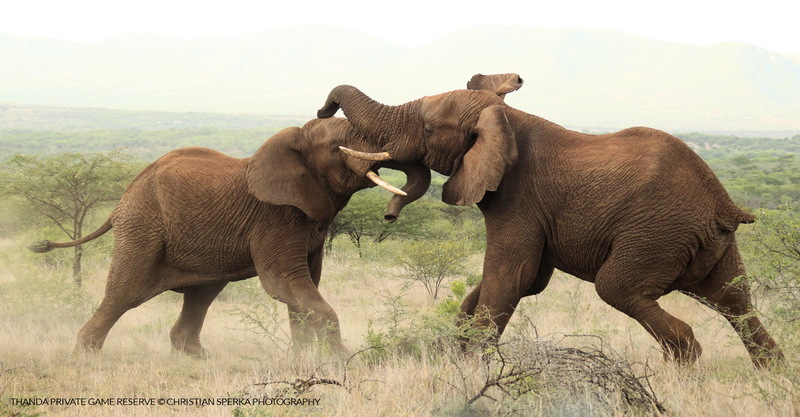 One of my favorite Elephant image ever!